The girl had an IEP for a learning disability for a visual processing disorder prior to the accident. She was rated as a four on the scale for severe traumatic brain injury immediately following the accident and as a 12 on the scale for moderate traumatic brain injury at the hospital. She spent 11 days in the pediatric intensive care unit because of the accident. She argued that she suffered a permanent brain injury as a result of the accident. The defendant was found to be 100 percent at fault and admitted liability for the accident. The defendant contested that the girl suffered a traumatic brain injury and called a neuropsychiatrist who testified that the girl was born with an intellectual developmental disability and that her alleged injuries simply resulted from that pre-existing condition rather than her accident. There were no records that she had ever been diagnosed with an intellectual developmental disability from her school or doctor, however. Prior to trial, the plaintiff made a §998 demand of $2,250,000, which was the insurance policy limit of the defendant. The defendant made a §998 offer of $1,250,000, which was not accepted by the plaintiff. The trial lasted nine days, and the jury deliberated for two days before returning a verdict in favor of the plaintiff. The gross verdict award was $10,778,626. Of that amount, $6,778,626 was for economic damages and $4,000,000 was for non-economic damages. California follows the unusually susceptible plaintiff rule. Under this rule, just because a person has a preexisting condition does not mean that the defendant can avoid liability for injuries that he or she causes in an accident. Defendants are liable to pay for all of the losses that arise from an injury even if a person who was healthy would not have suffered from similar injuries in an accident. 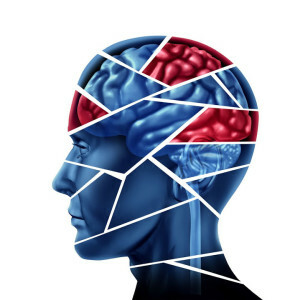 In the girl’s case, the fact that she had a learning disability and may have been more susceptible to brain damage was not relevant to whether or not the defendant would be liable for paying damages for her brain injuries. California also follows a rule regarding the aggravation of preexisting conditions or disabilities. While defendants will not be ordered to pay for damages related to the preexisting condition itself, they will be responsible for paying damages for the aggravation or worsening of it. In the girl’s case, while she had a pre-existing learning disability, it involved only a visual processing disorder. Following her accident, she was left with moderate, permanent brain damage, which is why the defendant was found to be responsible for paying the costs that her worsened condition would require over the course of her life. Many people who have preexisting conditions are further injured in accidents caused by others. When they are, the defendants may be liable to pay damages to cover the costs of the additional treatment and losses that were caused by the aggravation of the prior condition or injury. This may be common with elderly people who suffer fractures in accidents when they have bones that are weakened by osteoporosis or other people who have other disorders or conditions that are made worse because of their injury accidents. If you or a loved one suffered an aggravation of a preexisting injury or condition in an accident, you may need legal help to collect the damages to which you should be rightfully entitled. It is common for insurance companies to try to dispute that an aggravation of an injury occurred just like the defendant argued in the girl’s case. Insurance companies will often try to argue that the preexisting condition was already as worse before the accident as it is following it. An experienced personal injury attorney in Los Angeles understands how to gather the medical evidence that is necessary to prove that the injury or condition was aggravated as well as a number of losses that the aggravation caused. Contact a personal injury attorney today to schedule a consultation so that you can learn more about your recovery rights.